Loving how innovative KFC is these days!! Not long ago, I tried their new spicy recipe as pictured above. Red in colour and quite spicy especially when paired with their new chilli. 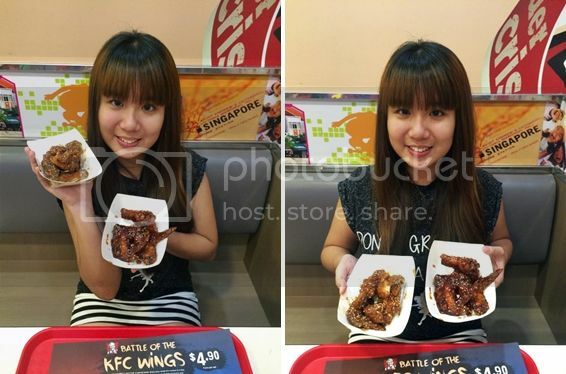 Now they have launched chicken wings coated in 2 new, bold flavours! 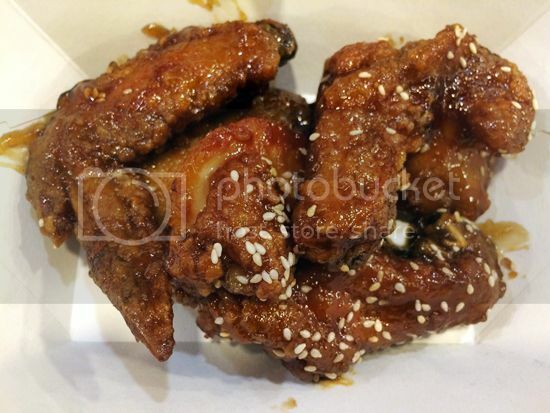 They are inspired by the rich Japanese and Korean culture that we Singaporeans love so much. Not only are Korea and Japan increasingly popular tourist destinations, ask any local on the streets and they can name you at least one K-pop group or one Japanese dish. Freshly breaded in-store with a special batter and cooked to crispy perfection! I was very lucky to get to try both flavours at Junction 8 last week. 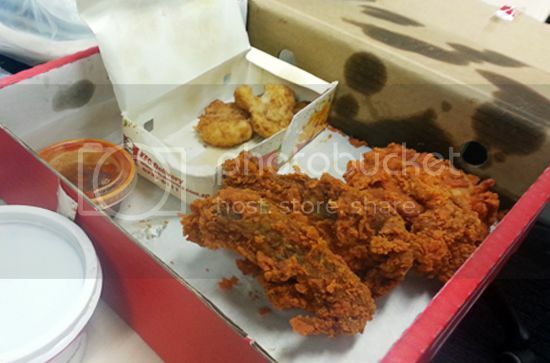 Thanks, Nuffnang and KFC! So which did I like better? 🙂 To be honest, it was difficult having to choose just one! As you can tell from my dark eye circles and eye bags. I’m sooo drained and tired. Was a crazy workaholic the whole month and I barely had time/energy for anything else. Mostly spent my free time re-reading Harry Potter… at 3am. So that’s not really helping either. 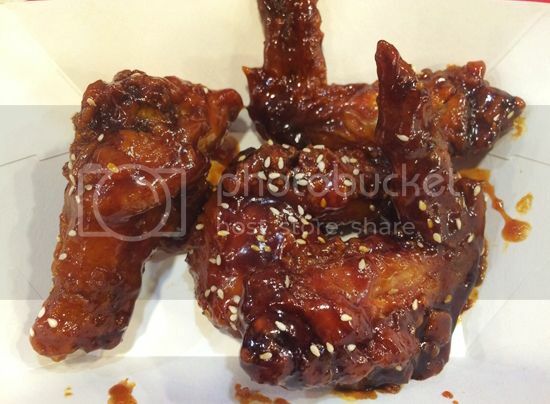 These wings were a good perk-me-up actually. Go try them for yourselves! 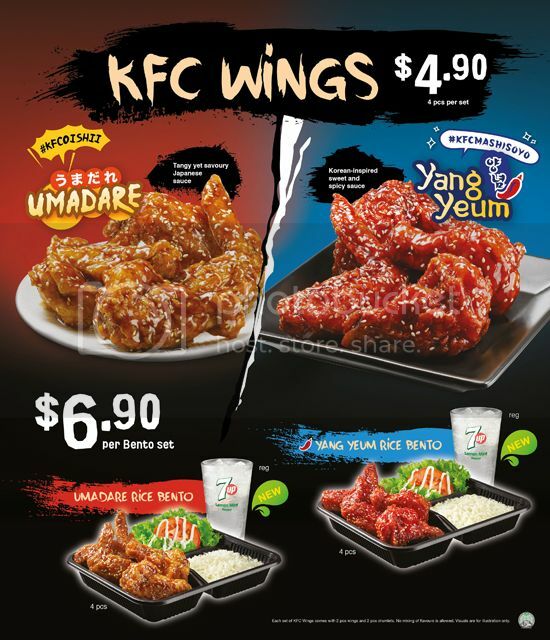 Enjoy the KFC Wings in an a la carte set of 4 pieces (choice of 1 flavour) at only $4.90, or go for the Wings Rice Bento Set which comes with 4 pieces wings (choice of 1 flavour), fragrant chicken rice, a side salad and a regular 7Up Lemon Mint (also new!) at only $6.90! 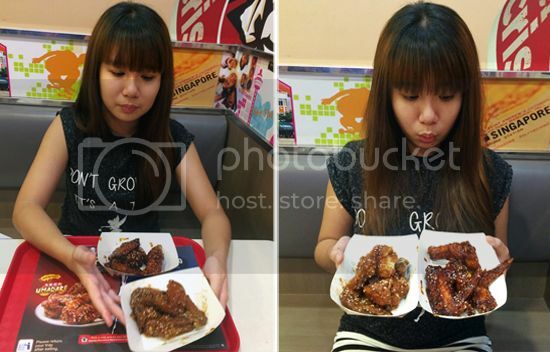 Available at all KFC stores except KFC Sentosa and KFC Singapore Zoo. 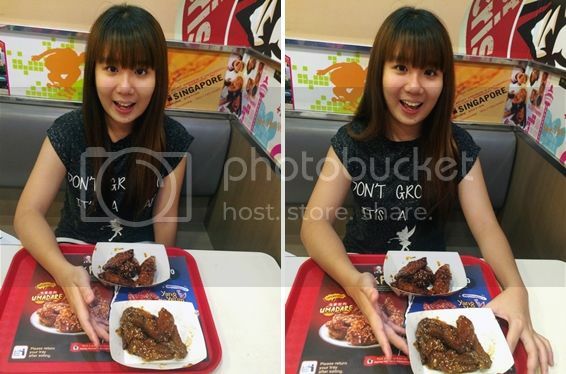 For more details about the promotion, visit www.kfc.com.sg. But that’s not all! 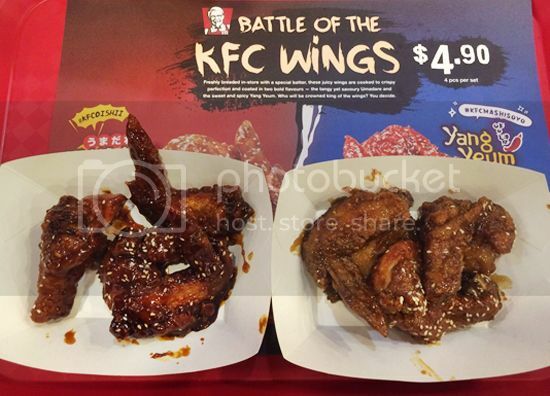 You can win prizes by just picking a side and being part of KFC’s greatest wing-off today. 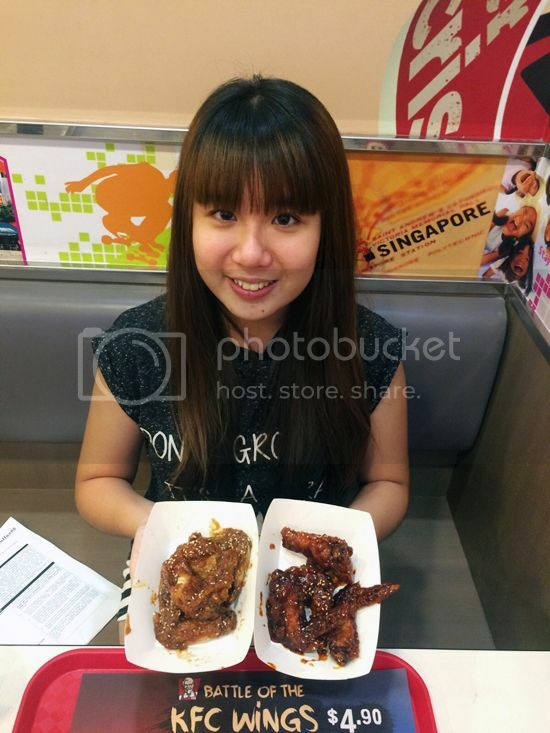 Who will be crowned king of the wings? You decide. Simply upload an Instagram photo or video of yourself (you can say ‘oishii!’ or ‘mashisoyo!’) and let us know which flavour your allegiance lies with. Hashtag #kfcoishii to support the Umadare flavour or #kfcmashisoyo to support the Yang Yeum flavour. This entry was posted on Saturday, August 29th, 2015 at 5:43 pm and is filed under Advertorials, Photographs. You can follow any responses to this entry through the RSS 2.0 feed. You can leave a response, or trackback from your own site.